Before long, there might be a new player in the super saloon game. And it’s an unlikely one: Lynk & Co. The Geely-owned Canadian company is all about car sharing or ‘flexible ownership,’ which makes it a little odd that it’s competing in the FIA World Touring Car Cup this year. Now, though, Lynk & Co has a ‘concept road car’. 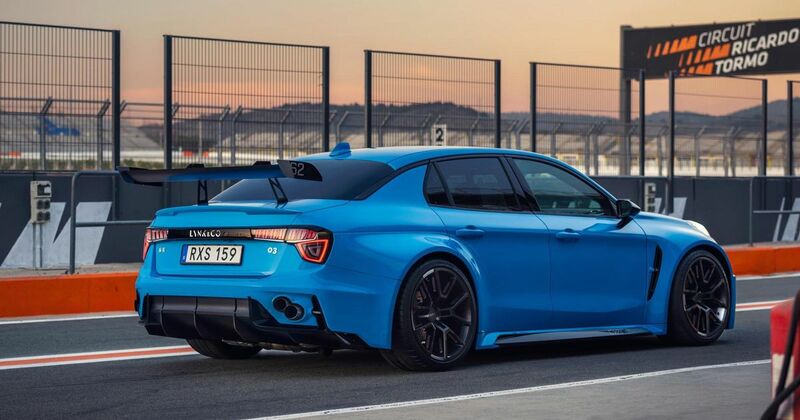 But it’s actually built by the same people as the touring car: Cyan Racing. You might have heard of the organisation under its former name: Polestar. The company looked after Volvo’s racing efforts and had input on its performance cars (before the Polestar brand was repurposed for hybrid and electric vehicles), so it knows a thing or two about making quick saloons. Its latest effort, the 03 Cyan Concept, was first revealed on 4 March, and has been showcased in the new video you can see above. It uses the Lynk & Co 03 - a car made from numerous parts borrowed from sister company Volvo - as a starting point. Quite a bit of the standard car looks to have been lobbed in the bin, however, with the concept sporting Öhlins adjustable dampers, a wider track, 285-width tyres at each corner and aggressive bodywork. Braking is taken care of by six-piston calipers at the front and two-pot calipers at the rear. It’ll need to lean on them, too, as the 2.0-litre turbocharged inline-four under the bonnet is good for 521bhp at 7800rpm. Like the racing car, it sends the whole lot through the front wheels exclusively, via a sequential gearbox and a mechanical limited-slip differential. 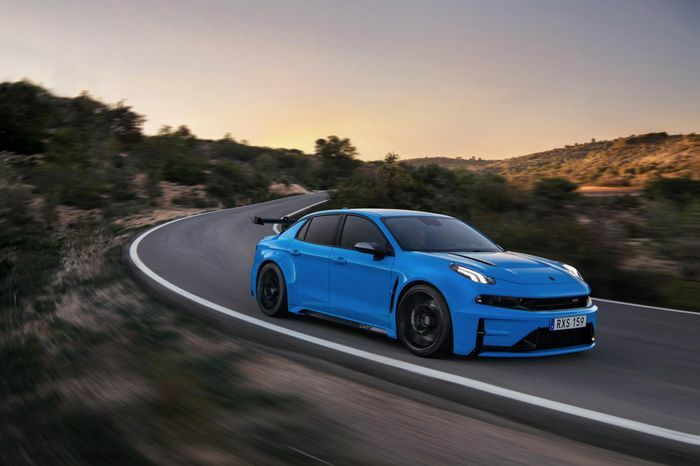 That’ll explain the relatively modest 0-62mph time of 4.4 seconds, something we’ll happily forgive, as the Cyan Concept is more about going around corners stupidly quickly. It’s capable of pulling 1.5 lateral G, Cyan says. Now for the important bit. 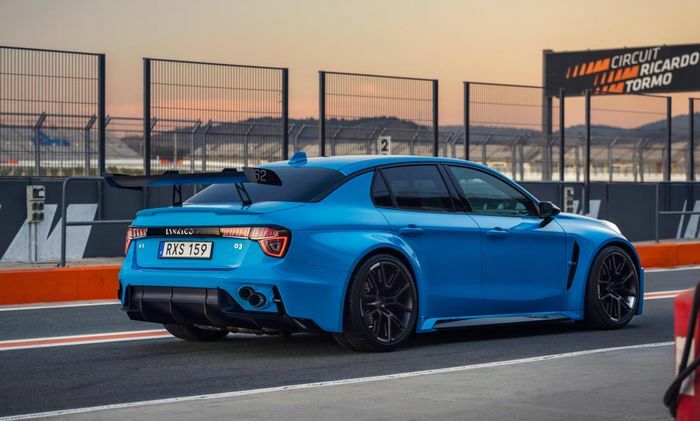 Cyan Racing’s R&D boss Henrik Fries dubs the car a “development platform for future production performance road cars based on Lynk & Co technology”. Which sounds like a fairly clear statement of intent. Any production cars that come from this won’t be quite as focused, however. “While this concept might be a bit extreme, we have learned that in order to explore the true characteristics of a car you need to push it to its maximum and that is just what we are doing right now with this car,” says Thed Björk, Cyan’s development and racing driver.